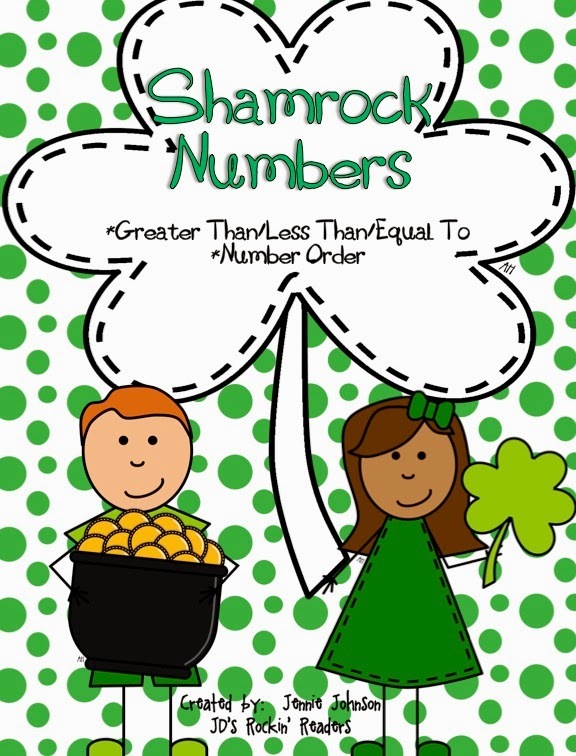 Teaching Blog Round Up: Happy St. Patrick's Day (3 FREEBIES)! Hi everyone! It's Jennie from JD's Rockin' Readers! I've always loved St. Patrick's Day! I'm not really sure why? It started in college… unfortunately I was always the one working behind the bar while everyone else was having fun. The restaurant that I worked at opened for kegs and eggs at 5:30am. I didn't usually work the morning shift (thank goodness) but we needed all the man power we could get on that day. So it was long hours and a little bit of craziness! Even when I started teaching, I would use personal days and go back and work at the bar for one day a year. Heck, I was making better money there than I was teaching! Anyway, like I said, I'm not really sure why I have always like St. Patrick's Day. Maybe it's because you can dress up however you want and look like a fool and nobody cares! I have a few freebies for you today that I wanted to share! 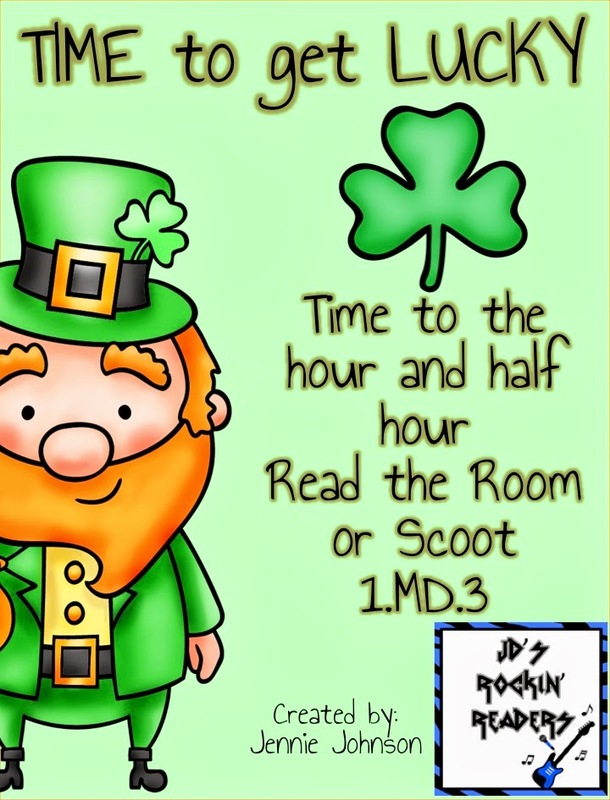 First up- here's a Search the Room or Scoot game for telling time to the hour and half hour! Next up, greater than, less than, equal to game! And, some fun sound/letter boxes!